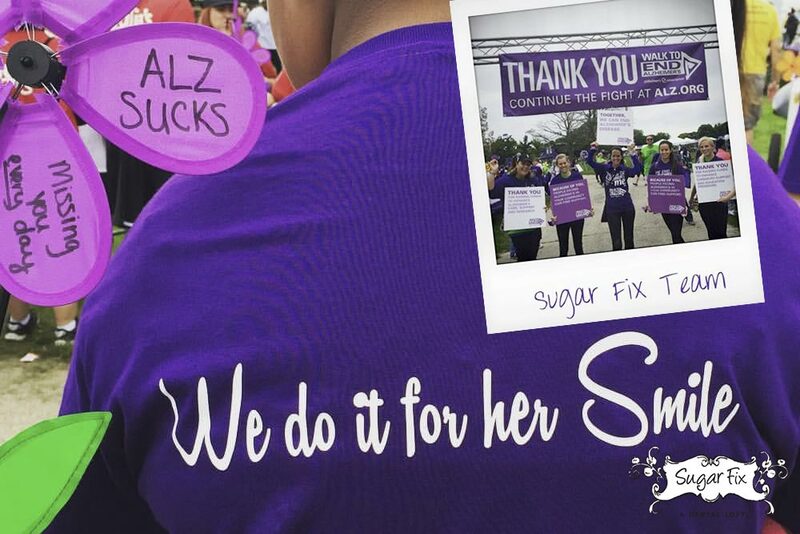 On Sunday, Team Sugar Fix participated in the 2015 Walk to End Alzheimer’s at Montrose Harbor in Chicago. Dr. Emery, Lauri, Tricia, Ashley and Hannah all volunteered for the event! Once each registrant picked up their flower, they could write a custom message on the petals of the flower if they so chose to. The fate of these flowers was completely up to the owner. Participants could choose to carry their flower with them throughout the walk, they could plant them at the beginning or the end of the walk in the Promise Garden, or they could take the flower home. Today, many participants chose to plant their flower in the Promise Garden. It was a beautiful field of whirling flower petals. Symbolic in it’s representation of memories and lives touched by a tragic disease. At the end of the walk, Team Sugar Fix gathered together with purple cow-bells and thank you signs and we cheered on the walkers as they crossed the finish line. It was incredibly emotional as we were thanked by the walkers for supporting them. Thousands of people were there today for one reason or another, yet we were unified in our goal to help raise funds for Alzheimer’s research. 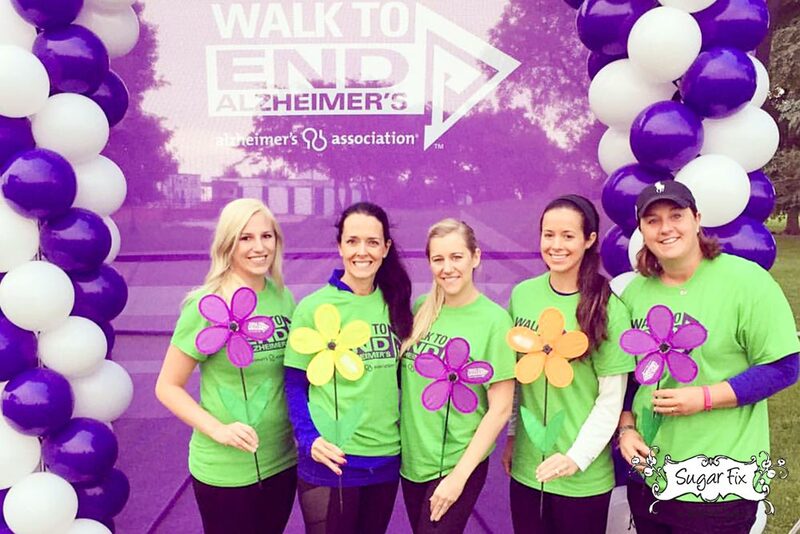 This is a cause dear to Dr. Emery’s heart, as her mother has been diagnosed with Alzheimer’s. If by sharing this personal story, Dr. Emery want to help others feel a sense of community, or see warning signs to help someone else. Consider walking, raising funds and supporting the cause.